Most corporate communications these days occur on or within the confines of social media: Facebook, Twitter, Instagram, YouTube, etc. They serve a valuable function — convenient, visual, accessible. 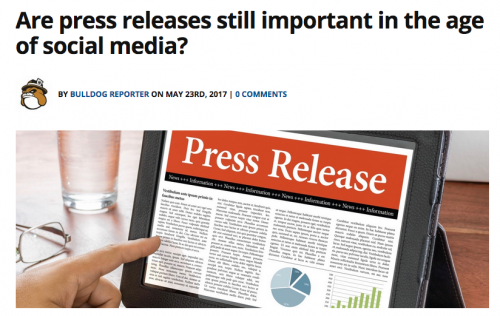 But the press release should be the official version of a company's outward facing philosophy, and first in any archiving process of message and communications preservation.